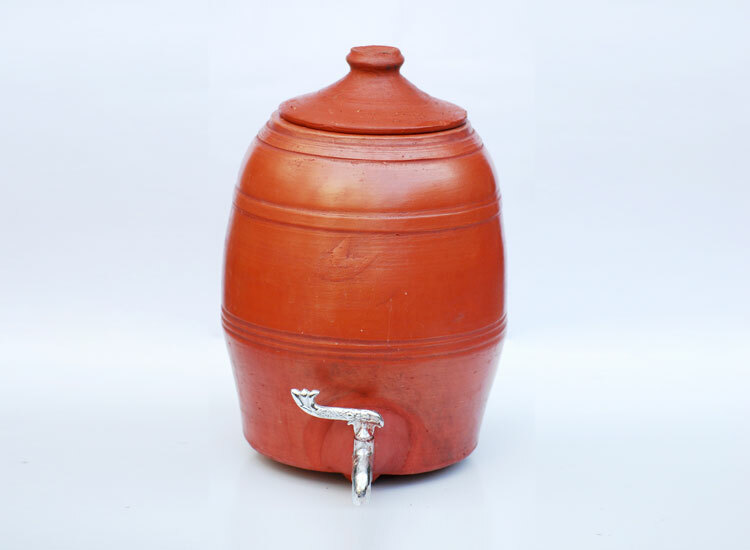 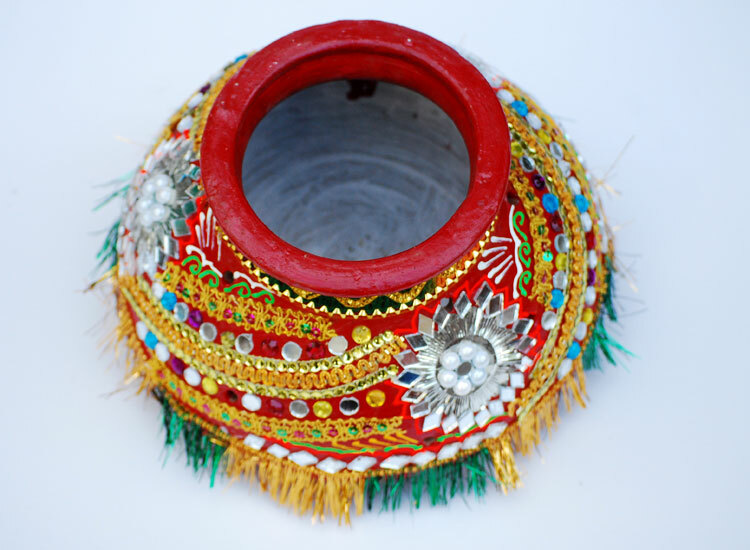 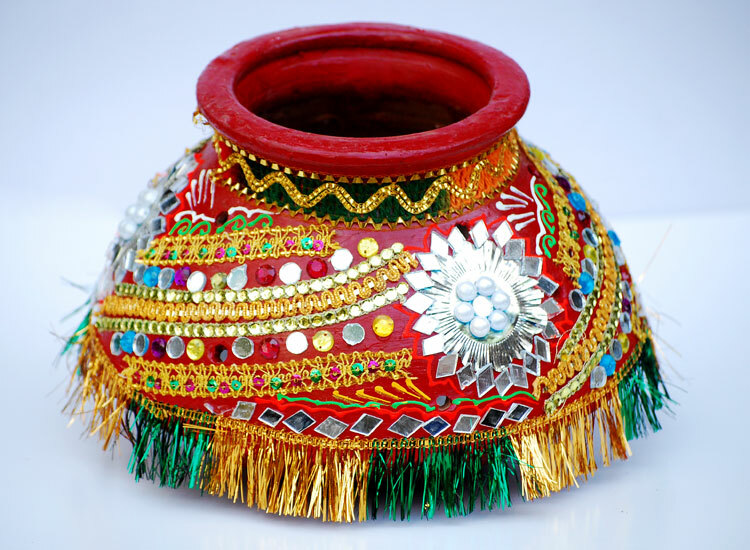 Types of earthen pots used for storing and dispensing drinking water. 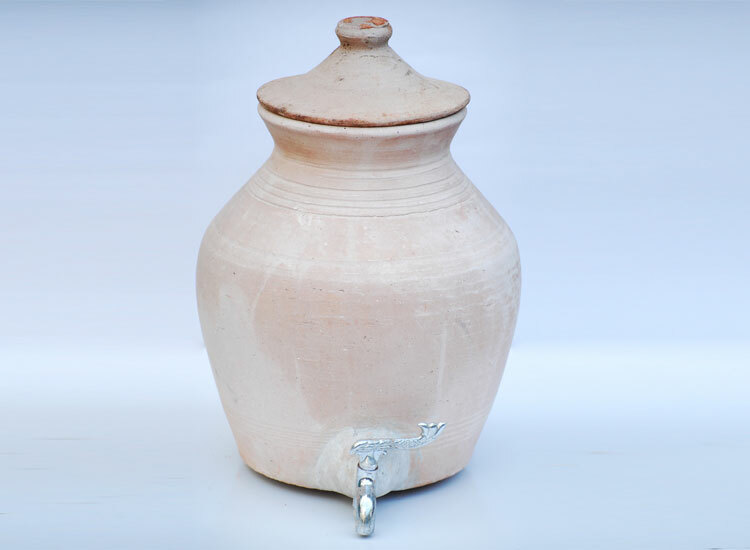 Earthen pots are used to store drinking water, a wonderful way to cool drinking water and without consuming any electricity whatsoever. 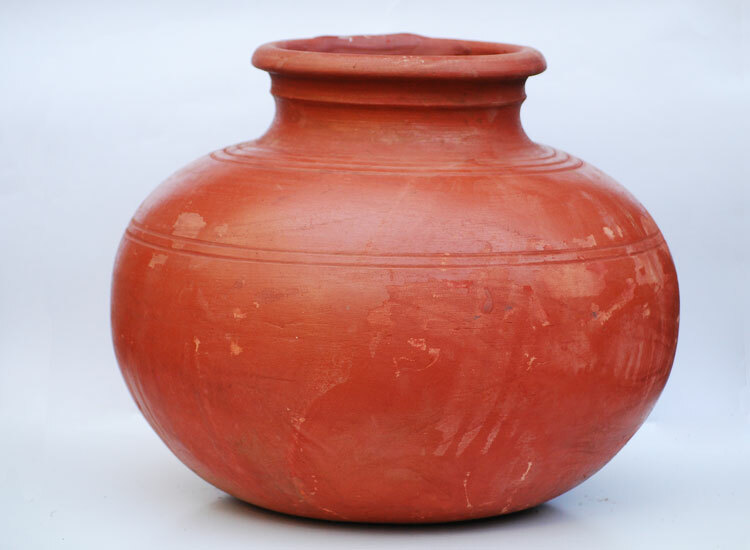 Called “Matka” in Hindi and “Mann Paanai” in Tamil, earthen pots are the most effective way to cool water to just the right temperature. 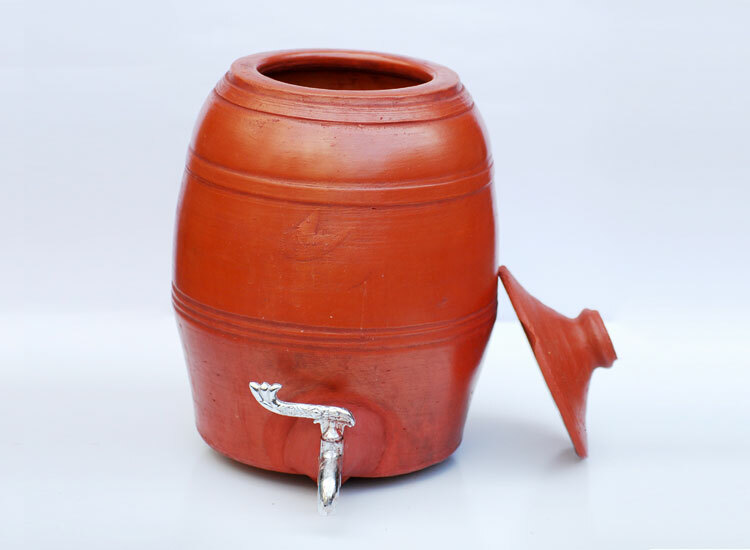 Unlike refrigerators which over-cool water, the pots cool them just right. 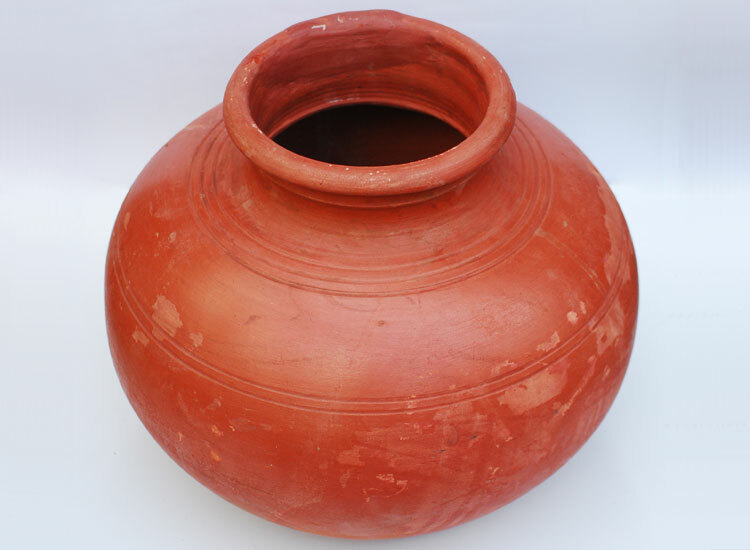 The earthen pot cools water by Evaporative Cooling. 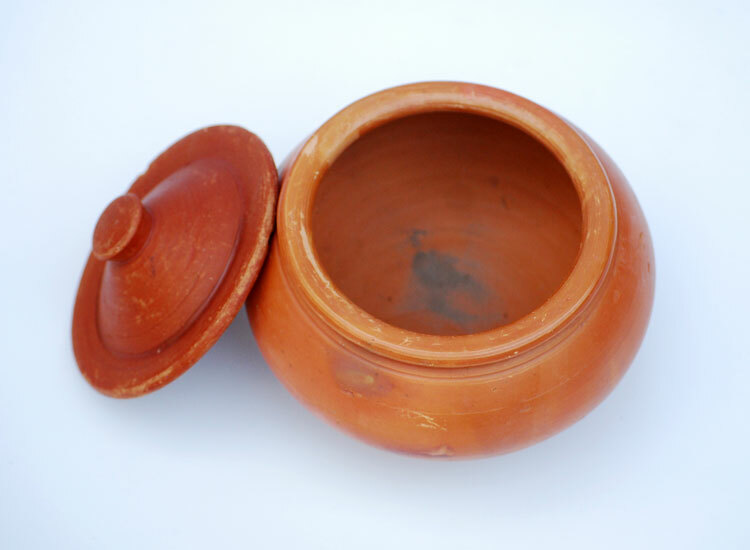 The earthenware pot absorbs some of the water in it, then the outside of the pot will be slightly moistened. 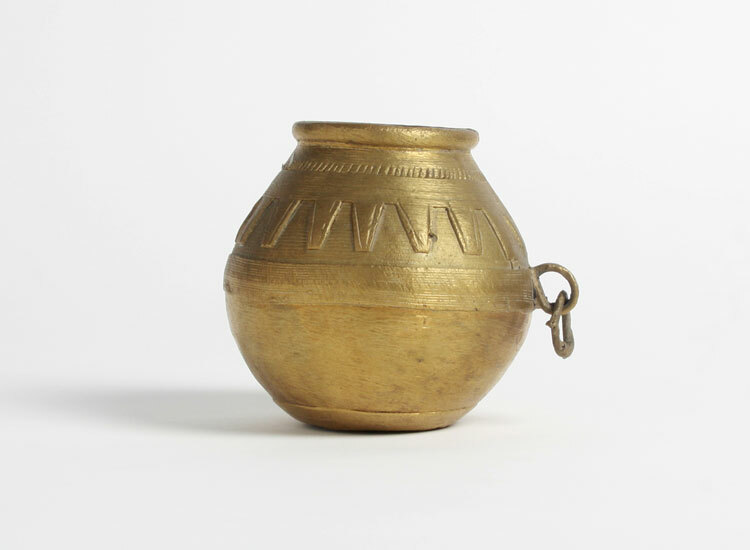 As this moisture on the pot evaporates, the temperature of the pot is reduced due to evaporative cooling (same way sweat cools the body). 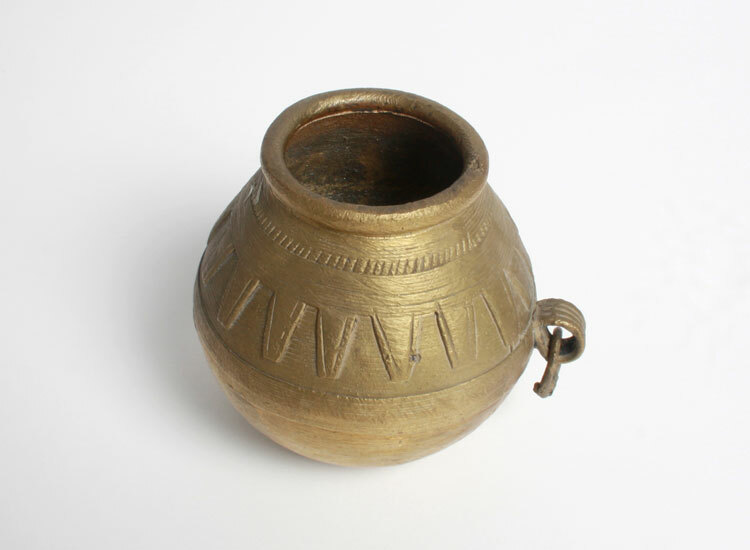 This cooling effect will keep the temperature of the pot lower than it would otherwise be. 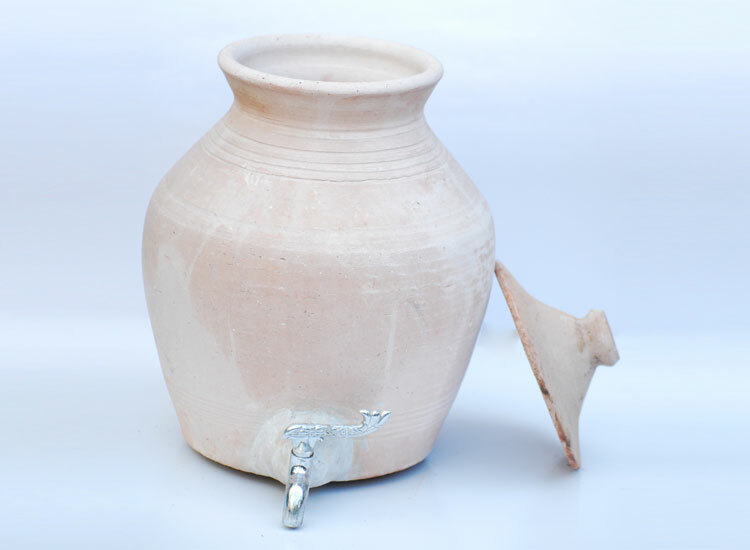 Some have a tap of its own so only the required amount of water can be taken at a time. 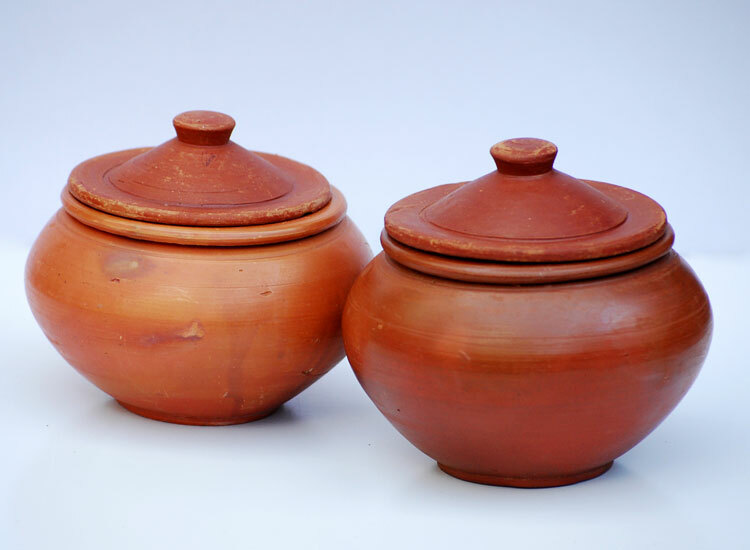 These pots contribute to a greener India, by reducing the electricity bill.